Kaltura, the University of Chicago’s software platform for video management, has recently been updated to the latest version. This update brings with it several important changes that will improve Kaltura users’ experience. The new version of Kaltura features an improved video player that can adjust the playback experience depending upon the device being used and the current Internet connection speed. The new version of Kaltura features an updated and streamlined user interface. The search bar has been moved to the top of My Media and Media Gallery, while the Edit and Delete buttons in the previous interface have been replaced with pencil and garbage can icons, respectively. The new interface features improved filtering options to find your videos more quickly, as well as an increased menu of sorting options to organize your videos. 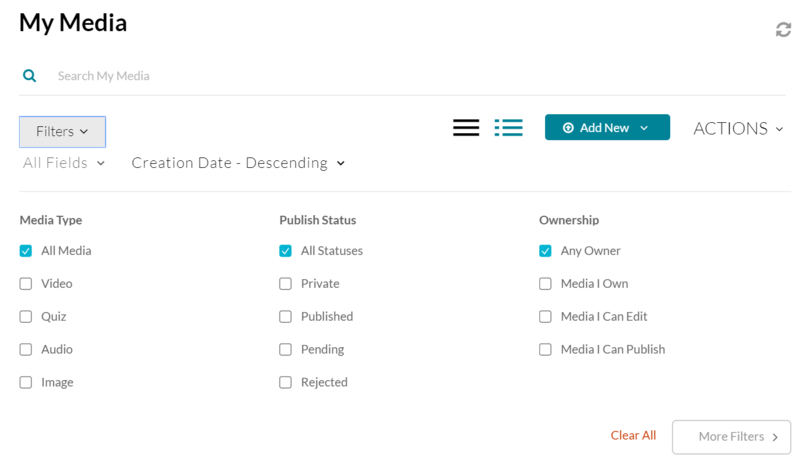 Using the new Filters menu, you can filter your videos for media type, publish status, and ownership. You can also apply multiple filters at once. 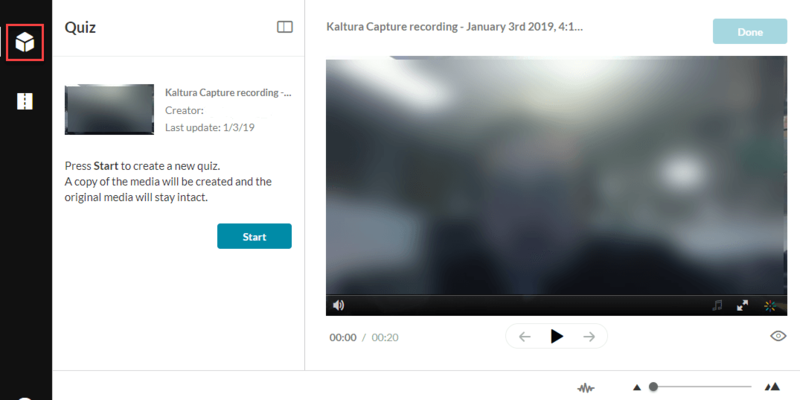 Tools for student engagement with video have been improved in the new Kaltura interface. Students can now comment on videos (though only when a video is located in a specific course’s Media Gallery). Also, Kaltura now offers in-video quizzing functionality. An in-video quiz consists of one or more questions that appear at a specified time point in your video; students viewing the video must then answer to proceed. 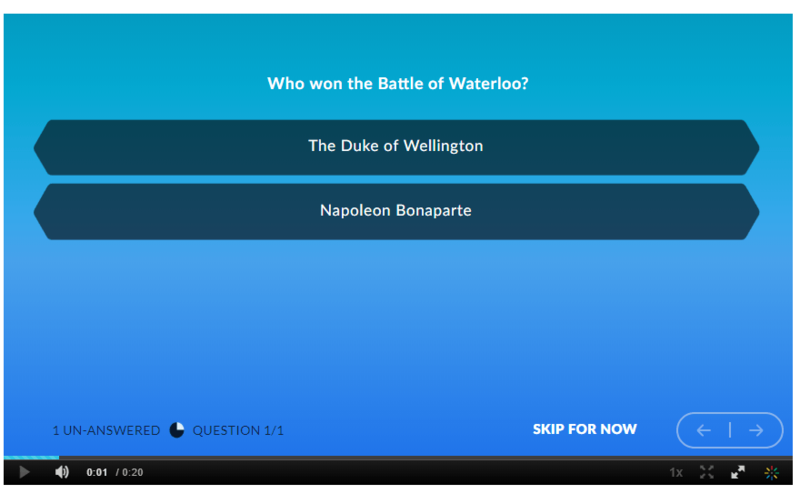 In Kaltura, you can create quizzes with either multiple choice or true/false questions to help ensure that students are absorbing the content presented in your videos. If you wish to use in-video quizzes as graded assignments, you can also integrate your quizzes with the Canvas Gradebook. You can begin creating an in-video quiz in the Kaltura Editor by selecting the quiz icon (a cube). When you click Start to create your new quiz, Kaltura will create a new copy of your existing video; the original will not be altered. When a student plays the video, s/he will be prompted to answer your quiz question once the video reaches the specified time point. To record your computer screen in conjunction with the webcam on your computer (the latter is optional), you will need to download the Personal Capture App. The new app features improved functionality and works well on both PC and Mac. The new version of Kaltura offers improved capabilities for editing your videos. Using the Video Editor, it is easy to make cuts, add fade-ins and fade-outs, split one video into multiple videos, etc. For more information on the new version of Kaltura, please see our revised knowledge base article. To schedule a consultation about using Kaltura in your course, please contact Academic Technology Solutions. You may also wish to attend our workshop on Using Multimedia for Instruction and Creative Assignments.